This entry was posted in Compounding, Medications, Pharmacy and tagged Compounding Medicines, Dosage Level, Health Conditions, Personalized Medication. Bookmark the permalink. 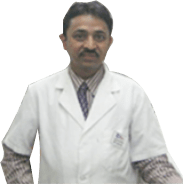 This entry was posted in Compounding, Health Tips, Medications, Pharmacy and tagged Allergies, Antibiotics, Compounding Medicines, Health Conditions, Prescription Drugs, Right Dosage, Treatments. Bookmark the permalink. What Products Can You Find at A Pharmacy? This entry was posted in Medications, OTC Drugs, Pharmacy and tagged Medical Equipment, Over-the-Counter Medication, Prescription Medication, Supplements. Bookmark the permalink. This entry was posted in Medications and tagged Keep, Storing, Tips. Bookmark the permalink. This entry was posted in Health Tips, Medications, Pharmacy and tagged Medicines, Prescription Medicine. Bookmark the permalink.